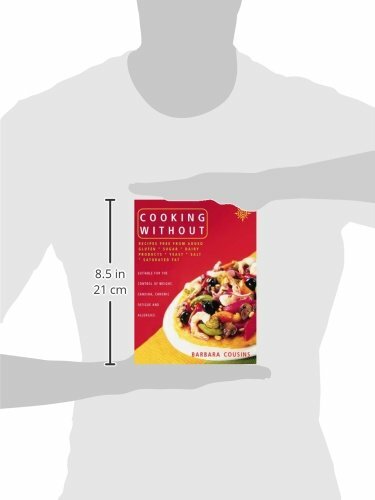 ‘Cooking Without’ written by nutritional therapist Barbara Cousins is not only a collection of delicious and easy to make recipes but is also a book about health – how to gain it and how to keep it. The recipes in ‘Cooking Without’ obtain their flavour from ingredients that are health promoting rather than high levels of salt, fat or sugar. 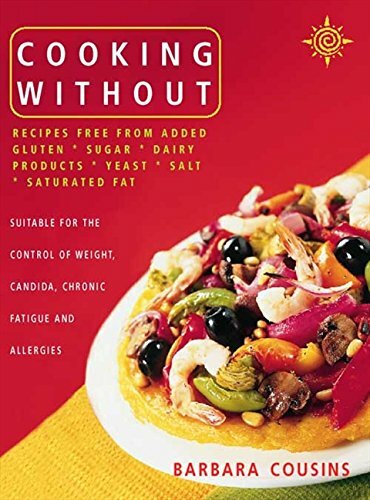 Ingredients such as gluten, dairy produce and yeast, which cause many individuals to have health problems, have also been excluded. As well as being linked to food intolerances these ingredients can also be an underlying factor in more serious health problems. The regime in ‘Cooking Without’ aims to give the body sufficient amounts of the nutrients it needs, thus producing extra energy which can be then be used for elimination and healing. The art of detoxification is explained in an easy to understand formula as are some of the reasons for health problems such as migraines, chronic fatigue and irritable bowel syndrome.